Ride on the fastest roller coaster in the world in Abu Dhabi. Click on the photograph for more information — as well as my experience of riding on it twice. Photograph ©2015 by Brian Cohen. …but you must book your flight reservations by Saturday, June 15, 2019. All you have to do is book your flight reservations for your stopover in Abu Dhabi; then book your stopover in Abu Dhabi; and then complete the booking process in order to receive your free hotel voucher. “Stopover programs” are subject to daily hotel allocation; and as a result, all accommodation is subject to availability. Etihad Airways reserves the right to offer an alternative hotel property of a similar standard. No liability will be accepted through which flights have been booked or tickets have been issued if no availability exists at the participating hotel properties included with this offer. Visas for the United Arab Emirates are not provided for the stopover in Abu Dhabi within this promotion. Purchase your visa directly at this Internet web site. Available for guests whose final destination is Abu Dhabi or Dubai. Valid for guests originating their journey from the United Arab Emirates. Valid for unaccompanied minors or children travelling without an adult older than 21 years of age. Valid on staff tickets, travel industry-discounted tickets or group bookings. Valid in conjunction with any other promotional offer. The Free Stopover program is available to guests from all origins on the Etihad Airways global network when transiting via Abu Dhabi to any destination on the Etihad Airways global or EAP network. The offer is only available for transiting passengers. The stopover conditions of the applicable fare of your ticket will apply — including additional charges for adding a stopover plus any applicable taxes. Please read the terms and conditions on your ticket carefully. The offer is valid for bookings made in any Fare Choice within Economy or Business Class on Etihad Airways only — except for flights booked via the redemption of frequent flier loyalty program miles or points, award upgrades, or cash plus miles promotions. The offer is only valid for adults traveling on return tickets; and is applicable on one direction only via Abu Dhabi. Occupancy up to a maximum two adults only will be offered on bed and breakfast basis for the qualifying number of nights; and will include all municipality fees and service charges. Upgrading to a higher class of room or suite is not possible through this promotion. Travel companions must travel on the same dates and flights with the guests eligible for the offer to be eligible to share accommodations. Flight reservations cannot be separated to avail multiple free accommodation offers. Partially completed travel will result in the commercial value of the offer of the complimentary night to be deducted from any refund claimed on the remaining unused airfare. The offers are only valid for adults traveling on return tickets; and the lead person on the booking must be at least 21 years old. All accommodations must be booked prior to the arrival date at the hotel property. Hotel reservations must be booked a minimum of 72 hours — or three days — prior to arrival for the request to be processed. This is not a guarantee of confirmation. Any reservations booked directly with a hotel property do not qualify for the offer and cannot be amended by Etihad Airways or Hala Abu Dhabi without exception. This offer cannot be used in conjunction with any other promotion run by Etihad Airways or the participating hotel properties. 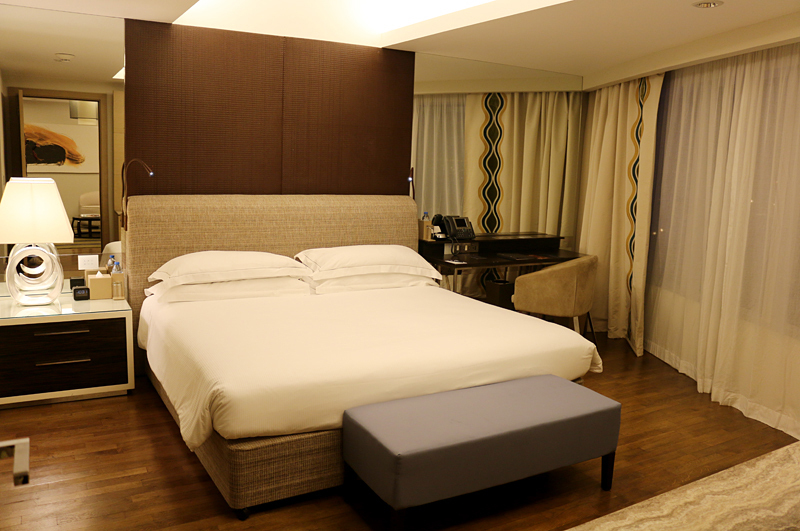 A maximum occupancy of two adults and one child below 12 years on existing bedding is applicable for Abu Dhabi Stopover. Extra beds are available upon request and will be payable directly with the hotel. It is not possible to upgrade to a higher class of room or suite as part of the Stopover program. All extra charges incurred during the stay — meals, laundry, room service and telephone as only four of many examples — are the responsibility of the guest and need to be paid directly to the hotel property upon checking out; and a credit card will be requested upon checking in to the hotel property as security against other services which are offered at an additional charge. In the event of cancellation, please contact the “stopover” team on AbuDhabiStopver@etihad.com within a minimum of two working days to avoid cancellation charges. Cancellation charges apply where a full notice of two days has not been received prior to arrival at the hotel. Specific and more restrictive cancellation charges will apply during peak periods — for example, Islamic public holidays such as Eid Holidays. The cancellation charges for the respective hotel will be informed at the time of booking. Other exceptions, terms and conditions apply. This offer is somewhat deceiving in that the stopover is not actually completely free of charge, as this statement included in the official terms and conditions of this offer cites: “For hotel bookings in Abu Dhabi, an additional fee of AED 10 per room/ night is applicable and has to be paid directly by the guest at the hotel.” That is roughly the equivalent of $2.72 in United States dollars per room per night. Still, this offer is potentially a good one with which to take advantage — but if you prefer to take advantage of the regular business class one-night premium offer, you can do so by visiting the Premium Stopover site. I Just Rode on the Fastest Roller Coaster in the World. Twice. All photographs ©2015 by Brian Cohen.